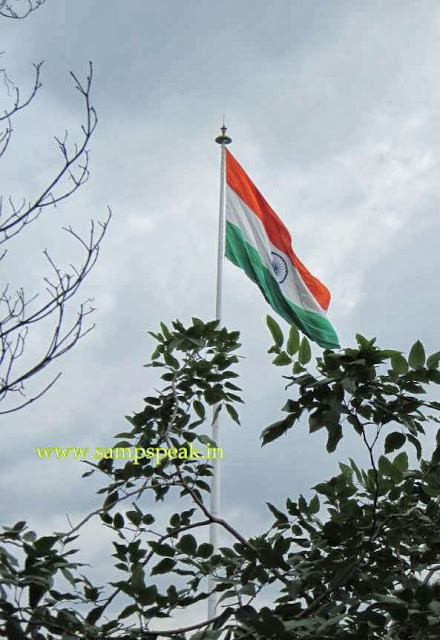 15th August is the most important day for the Nation ……. the annals of the history reveal to us that British colonisation of India began in the second half of the 18th century when the English East India Company took control of Bengal and gradually expanded its territory to other parts of India. From Clive’s victory at Plassey in 1757 to the outbreak of the Mutiny of 1857, Britain’s empire on the subcontinent was administered by the East India Company. A chartered monopoly, the Company significantly expanded its fiscal, territorial and military grip on the subcontinent in the century before its abolition in 1858. In 1858 the British Government replaced the role of the East India Company and became the 'Paramount' ruler of India. It was not until 1947 that India regained its independence - ending nearly 200 years of British rule. It is not the colonisation alone, History also reminds of the painful partition that occurred on the eve Independence – the Nation that shares borders, history and more has been at loggerheads too. Operation Gibraltar was the codename given to the strategy of Pakistan to infiltrate Jammu and Kashmir, and start a rebellion against Indian rule. If successful, Pakistan hoped to gain control over Kashmir. ….the Nation needs to remember the history and the sacrifices of Army 50 years ago .. In August 1965, Pakistan Army's 50th airborne paratroopers and Pakistan Army's guerrillas, disguised as locals, entered Jammu and Kashmir from Pakistan with the goal of fomenting an insurgency among Kashmiri Muslims. However, the strategy went awry from the outset due to poor coordination, and the infiltrators were soon discovered. The operation sparked the Indo-Pakistani War of 1965, the first major engagement between the two neighbours. Much of the war was fought by the countries' land forces in Kashmir and along the International Border between India and Pakistan. This war saw the largest amassing of troops in Kashmir since the Partition of British India - in the end, Pakistan was made to realise the futility of war, pushed to the corner surrendered. To commemorate the Golden Jubilee of 1965 Indo-Pak war, Western Command, Chandi mandir, organised an ‘Army Equipment Display’ at K-Area, Zirakpur, on Wednesday. Lt Gen K J Singh, GOC-in-C, Western Command, inaugurated the event by releasing tri-coloured balloons symbolising Indian victory in the 1965 war. The exhibition included a spectrum of weapons and equipment including guns, mortars, tanks, bridging equipment, latest communication equipment and medical facilities. According to reports, there is to be a month-long celebration to honour the soldiers who fought the war beginning on 28 August - the day India captured the Haji Pir pass in 1965, that is now in Pakistan Administered Kashmir. According to NDTV, the Rajpath parade will be held on 20 September, and will include, apart from a show of military might, a thrilling aerial display with commandos slithering down ropes from helicopters. A major portion of the events planned during the "carnival" are discussions on the post-war negotiations in Tashkent. From 15-20 September, the Indian Army will organise a commemorative exhibition on Rajpath. The exhibition will have four arenas – the gallantry arena, the sacrifice arena, the service display arena and the war trophy arena. The Army has also planned a detailed Festival of Victory. Then PM Lal Bahadur Shastri died during the war negotiation meetings in Tashkent. Only an UN intervention saved Pakistan the blushes. In the Operation Gibraltar, for over three weeks, more than 100,000 Indian soldiers fought against Pakistan's 60,000 troops. India captured the key Haji Pir pass - "a major ingress route for Pakistanis" - and made some big gains in Sialkot and reached the doors of Lahore in Punjab. There is news that there would be no ceremonial exchange of sweets and gifts between BSF and Pak Rangers during the Independence day celebrations on both the sides, in the wake of recent ceasefire violations and cross-border terror bids from the Pakistan side. The Border Security Force headquarters in New Delhi has communicated the decision in this regard to their formations in the western sector of the country where its troops guard the International Border (IB) with Pakistan along Gujarat, Rajasthan, Punjab and Jammu and Kashmir independently. On this great day of our National Independence, let us dedicate ourselves to the service of the Nation, remember the patriotic deeds and sacrifices of so many, because of whom we are breathing free air…. Tail piece 1 : Gibraltar, is a British Overseas Territory located on the southern end of the Iberian Peninsula at the entrance of the Mediterranean. An Anglo-Dutch force captured Gibraltar from Spain in 1704 during the War of the Spanish Succession; the territory was subsequently ceded to Britain "in perpetuity" under the Treaty of Utrecht in 1713. The sovereignty of Gibraltar is a major point of contention in Anglo-Spanish relations as Spain asserts a claim to the territory.